Britain’s Prince Charles and his wife Duchess Camilla were delivered by the same doctor, but a year apart. 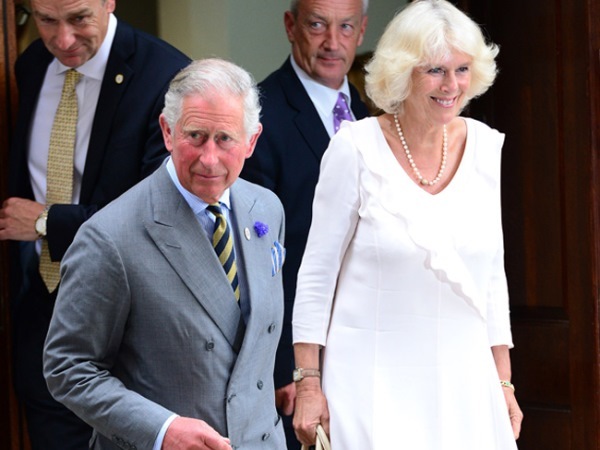 Britain’s Prince Charles and Duchess Camilla were delivered by the same doctor. The Prince of Wales revealed yesterday while visiting the Kings Hospital in Camberwell, south London, that his wife had been born there on July 17, 1947, by obstetrician, Sir William Gilliatt. Just a year later on November 14, 1948, Charles - the eldest son of Queen Elizabeth - was delivered by the same medical man, but at Buckingham Palace in London. The prince told the staff at the hospital: "My darling wife was born here but amazingly we had the same gynaecologist and nurse." The royal couple - who tied the knot in 2005 - were given a tour of the hospital, including the neonatal unit where Camilla attempted to cheer up the parents and their babies by pulling silly faces. The duchess was particularly taken by five-month-old Jessie, who couldn’t stop giggling at her face-pulling. Jessies mother Amy Benardout (19) told the Daily Mail newspaper: "Camilla was fantastic. She had Jessie in fits of giggles and was so good with him, pulling funny faces to make him laugh. "She’s a gran herself so she’s obviously good with babies. "Jessie was born with a bowel defect (gastroschisis) last August and we’ve been here in the unit ever since. "He’s got to have another operation soon to lengthen his bowel, and he’ll be here for a year, but the future looks bright." Before leaving the hospital, Charles said: "The work you do here is fantastic, particularly having seen the neonatal unit and elderly wing- ever more significant with our advancing age!"